In order to be successful, you must work hard, maintain focus, keep caffeinated, stay positive, and be inspired. With all of the hustle and bustle of today's workplace, it can be hard to find inspiration. That's why we've compiled a quick list of our favorite inspiring quotes about career success. Check 'em out! 1. 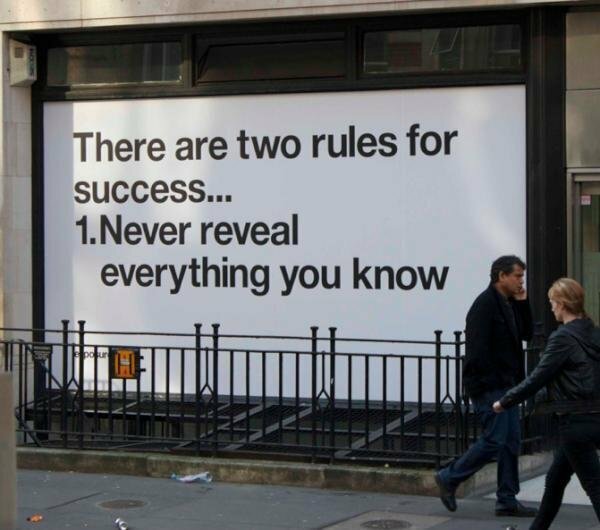 "There are two rules for success... 1.) Never reveal everything you know." via Image Store 2. "You've got brains in your head. You've got feet in your shoes. You can steer yourself any direction you choose." via Picturequote 3. 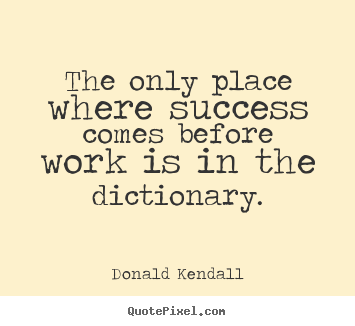 "The only place where success comes before work is in the dictionary." via Quoteswords 4. 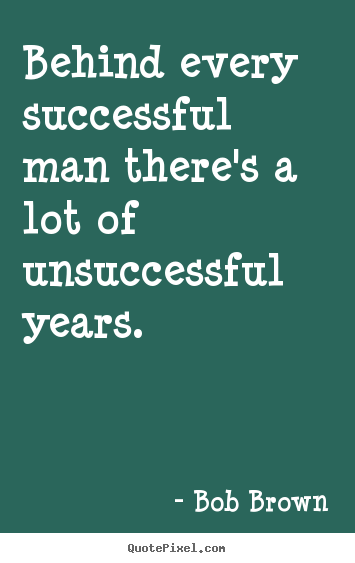 "Behind every successful man, there's a lot of unsuccessful years." via Quoteswords 5. 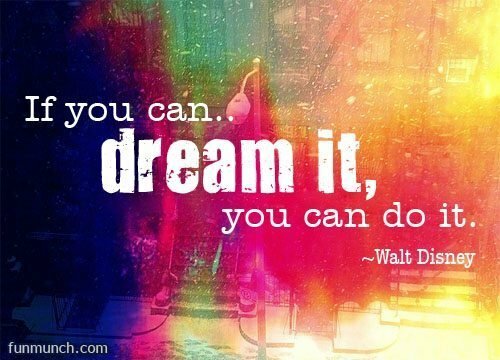 "If you can dream it, you can do it." via Quoteswords 6. 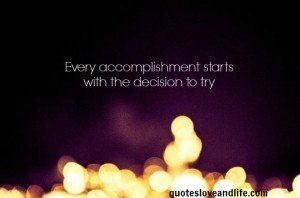 "Every accomplishment starts with the decision to try." via Quotes Love And Life 7. 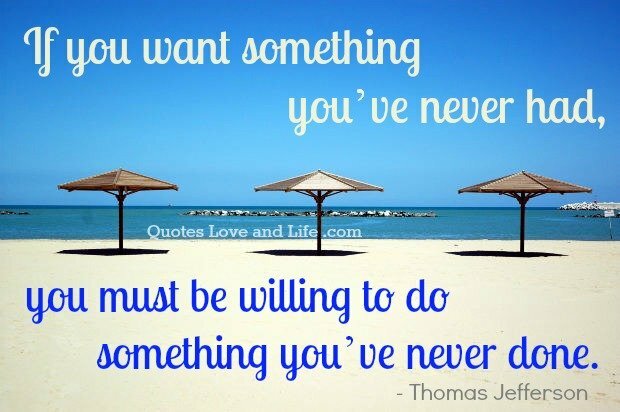 "If you want something you've never had, you must be willing to do something you've never done." via Quotes Love And Life 8. 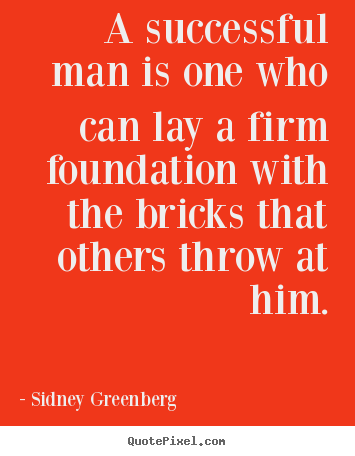 "A successful man is one who can lay a firm foundation with the bricks that others throw at him." via Quote Pixel 9. 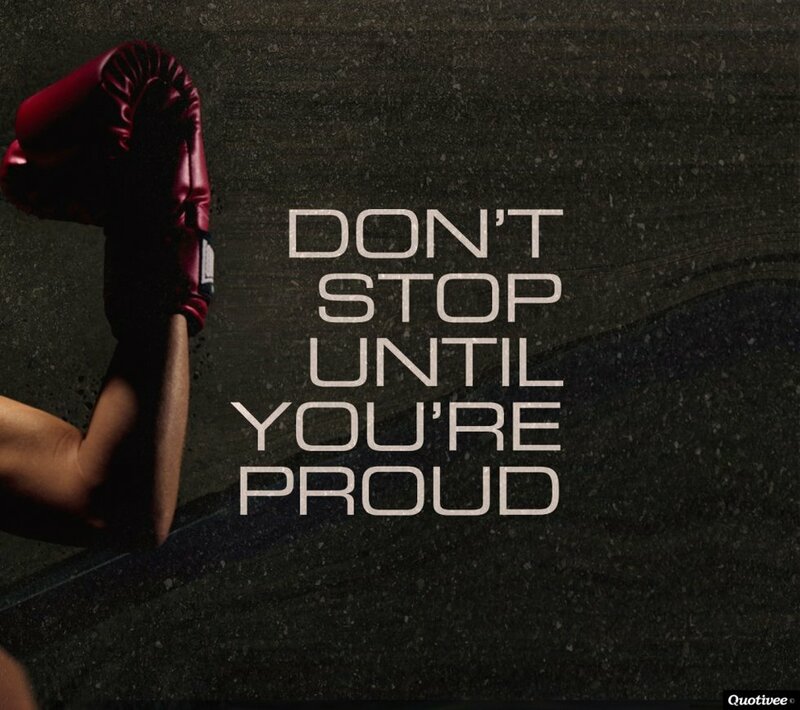 "Don't stop until you're proud." via Quotivee 10. 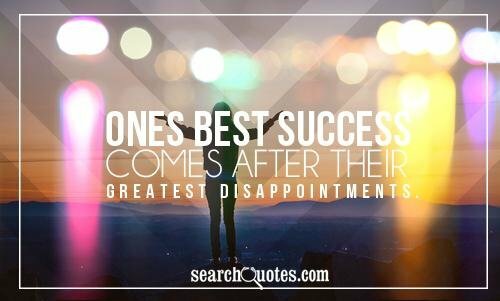 "One's best success comes after their greatest disappointments." via Search Quotes What's your favorite inspiring quote about success? We would love to know. Please share in the comment section below! Loved this post? Get your daily inspiration over on our CAREEREALISM Inspiration Board!